Canada will assume command of a NATO training mission in Iraq for its first year, Prime Minister Justin Trudeau announced Wednesday. Canada will assume command of a NATO training mission in Iraq for its first year, Prime Minister Justin Trudeau said Wednesday. 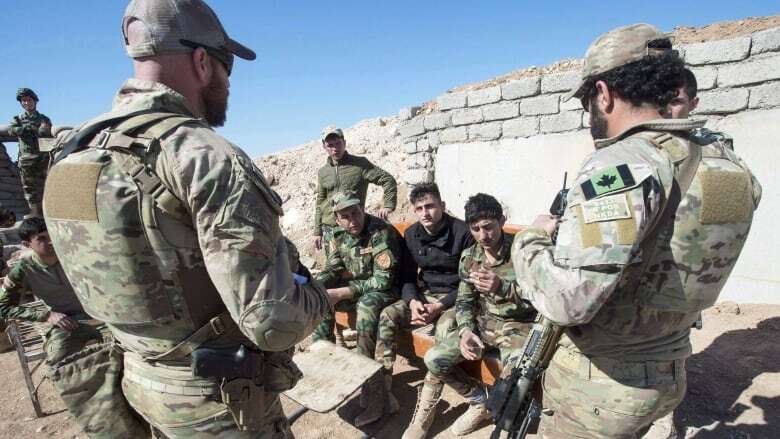 At the urging of the U.S., the Western military alliance will conduct a "train the trainer" mission to better develop the skills of the Iraqi army to stabilize the country and prevent the re-emergence of groups such as the Islamic State in Iraq and Syria (ISIS). 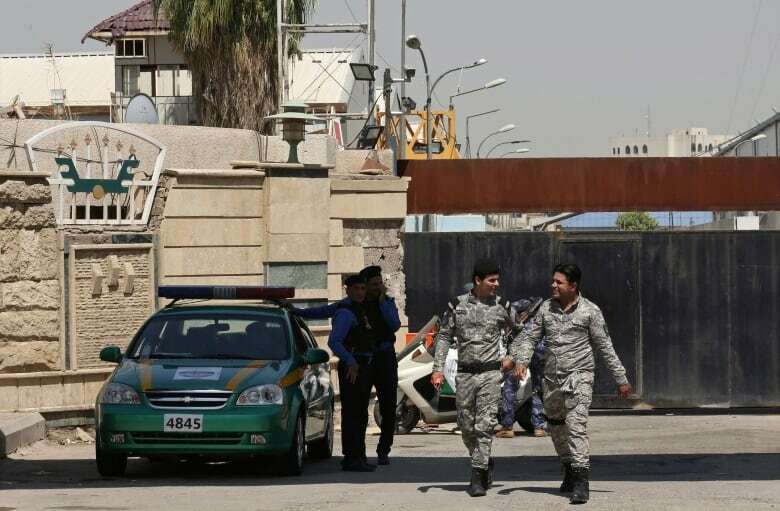 The mission will involve up to 250 Canadian troops deployed to Baghdad and the surrounding area by the fall, as well as up to four Griffon helicopters. The training mission, which has been in the works for at least two years, will be commanded by a Canadian major-general, and Canadian troops will provide the bulk of the headquarters staff. The force will protect the hundreds of other NATO trainers expected to begin their work in July. Speaking at a discussion forum put on by foreign policy think-tank the German Marshall Fund, Trudeau called it "the next step in the challenge in Iraq." Defeating ISIS was the first step, he said, "and now we have to rebuild that democracy and strengthen it." NATO will make the formal announcement later Wednesday. 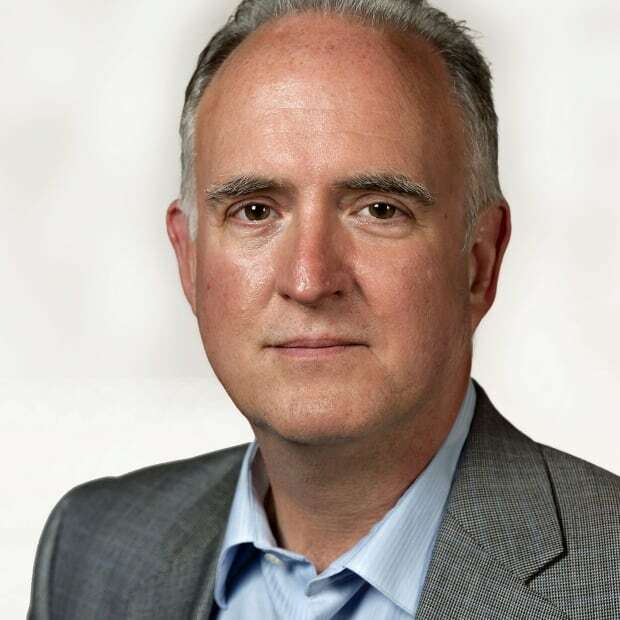 The decision addresses two vexing political problems for the Liberal government. It had committed to keeping Canadian troops in Iraq until 2019, but since the battlefield defeat of ISIS, there have been questions about what they will do. At the moment, Canada has roughly 850 soldiers and air crew committed to the longstanding Operation Impact in Iraq. It has included up to 200 special forces soldiers, conducting training in the country's north. They helped train Kurdish Peshmerga and Iraqi troops in conventional warfare skills to retake Mosul, Iraq's second largest city. Since the defeat of ISIS, there has been a call on the U.S.-led coalition to retrain local forces in counter-insurgency and counterterrorism skills. Gen. Jonathan Vance, the country's chief of the defence staff, said the Canadian special forces mission will continue, separate from the NATO deployment. A defence official said many of the other resources from the existing mission, including the helicopters, will be reallocated to serve the new endeavour. Canada has had a small contingent of combat engineers in Iraq — already serving under the NATO flag and separate from Operation Impact — instructing Iraqi forces on how to clear unexploded bombs and booby traps. It is expected they will remain and continue with their assignment. 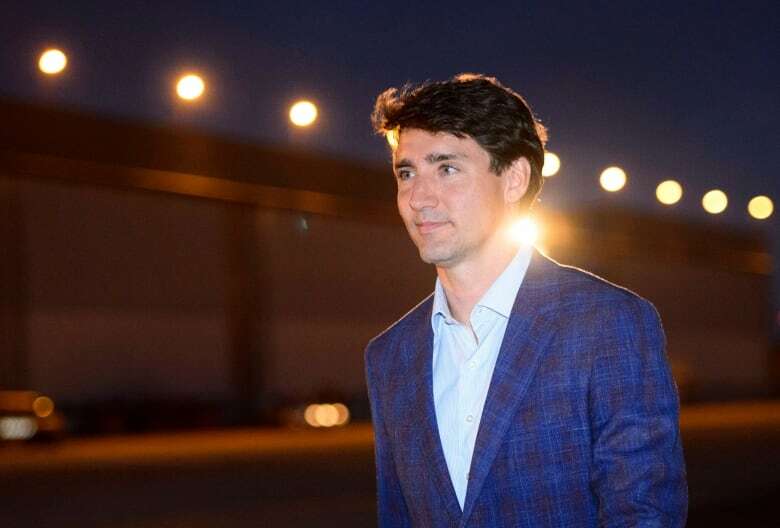 Leading the training mission in Iraq — along with a NATO battle group in Latvia — also gives Trudeau ammunition to rebut criticism levelled by U.S. President Donald Trump, who has been insisting allies pay more and meet the alliance's defence spending targets. Trump has demanded NATO do more to counter militants in Iraq, but European members of the alliance have been reluctant to undertake a larger role following the decade-long, open-ended commitment in Afghanistan, which included both a combat and training mission for local forces. Canadian Foreign Affairs Minister Chrystia Freeland wouldn't say whether she believed the decision to lead the training mission will earn Canada any credit with the Trump administration. "Our first — and really our only consideration — was what served the Canadian national interest, what served Canadians, what was appropriate to do for Canada given our role in the world and the very great interest we, as Canadians, have in a functioning, rules-based international order," Freeland said. She said helping rebuild the fledgling democracy in Iraq is "a great thing for Canada to be doing." There has been considerable debate at the defence ministers' level about which country would protect the trainers and provide transport. 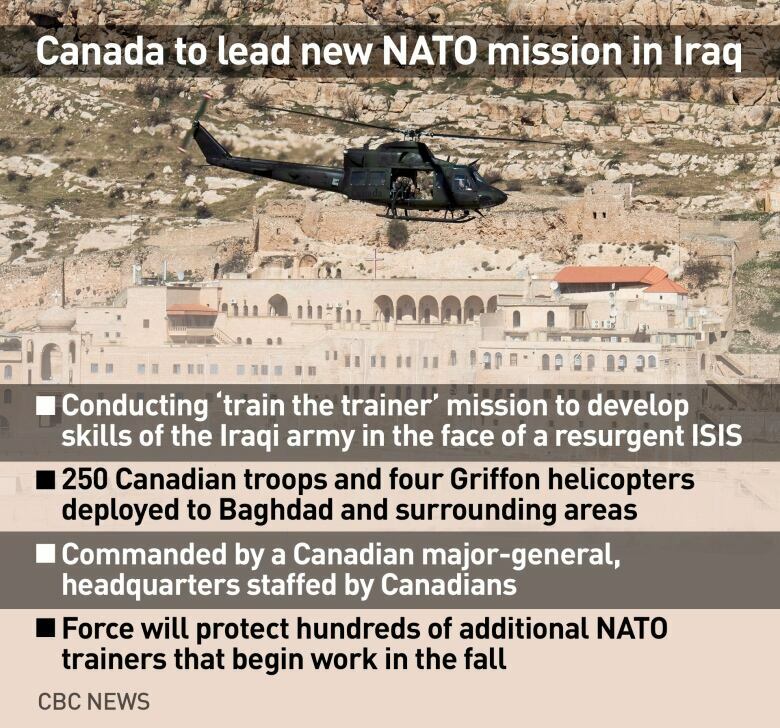 Canada has had helicopters in Iraq as part of its existing mission, and those aircraft will stay to assist the new NATO initiative.